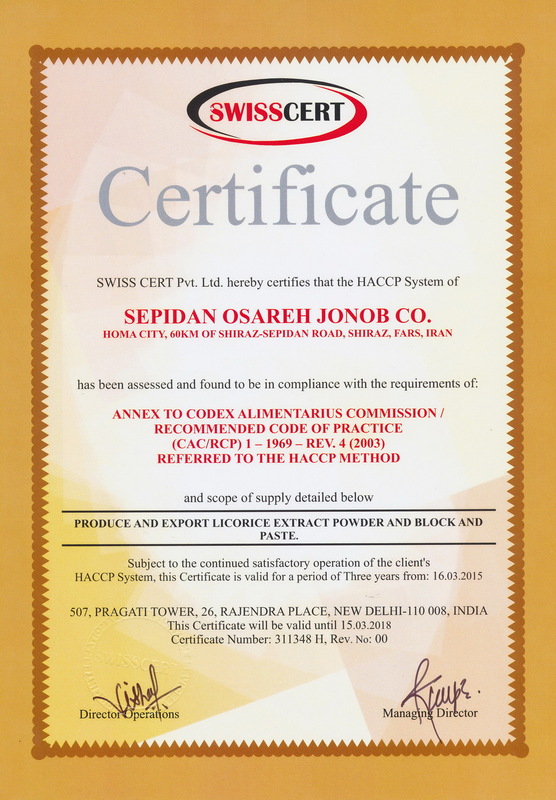 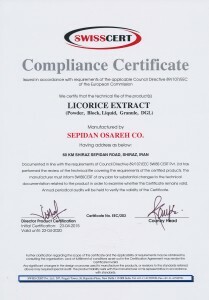 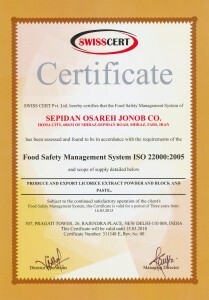 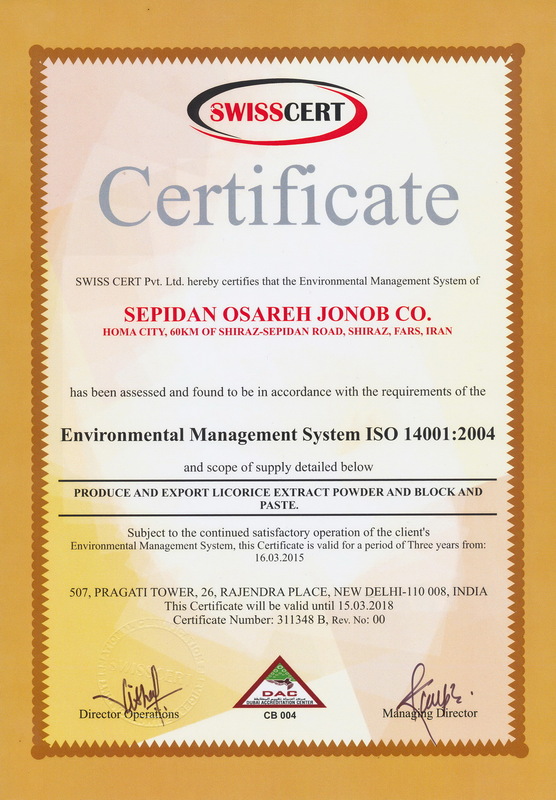 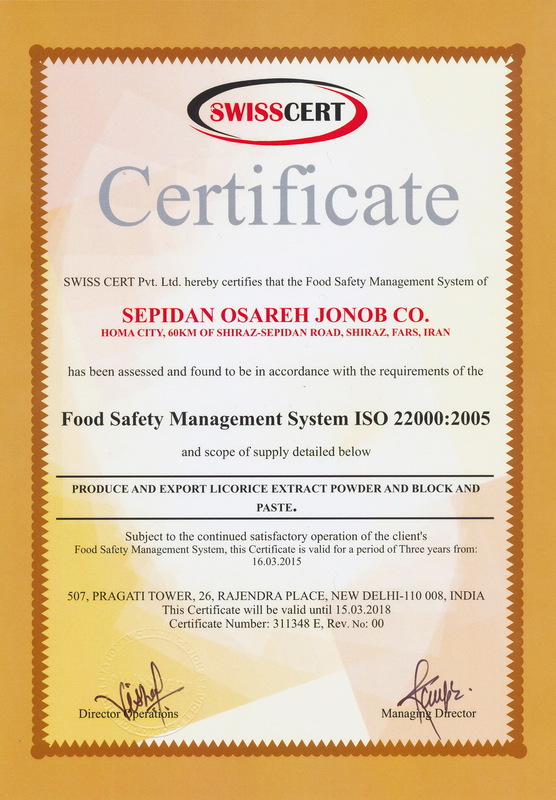 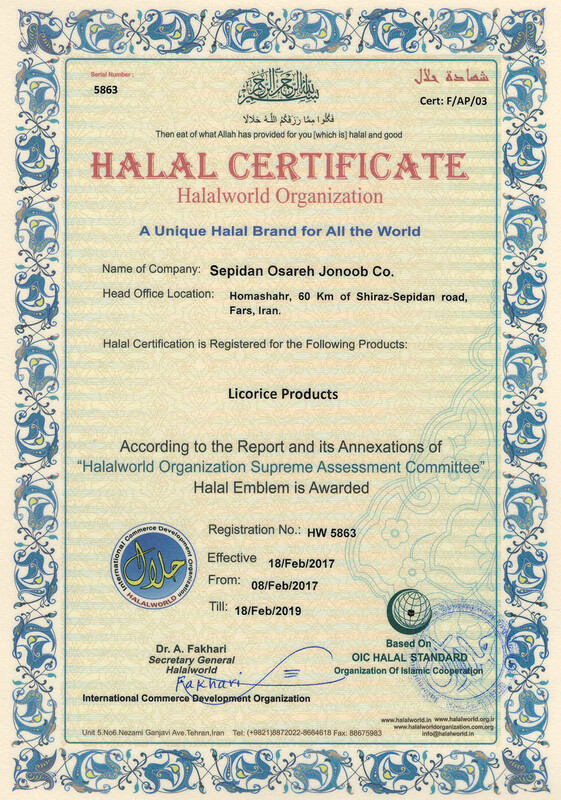 Sepidan Osareh Co. Producer of the Best Quality Licorice Products. 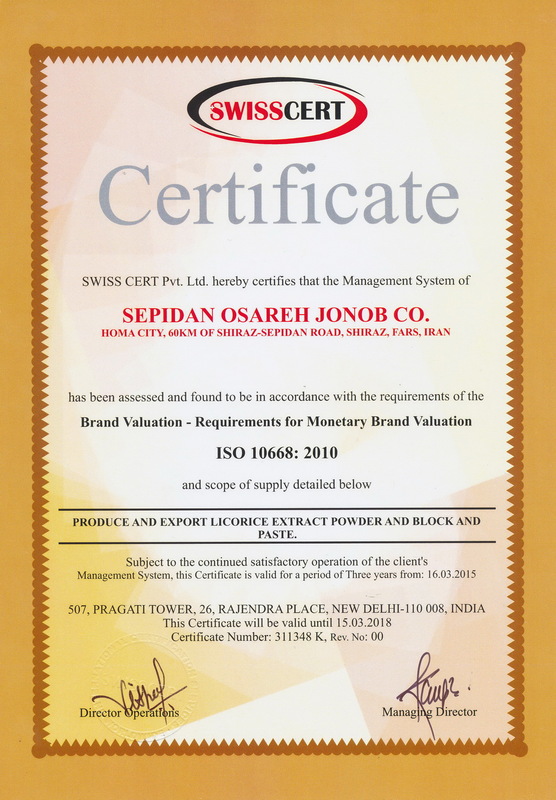 Sepidan Osareh Co. 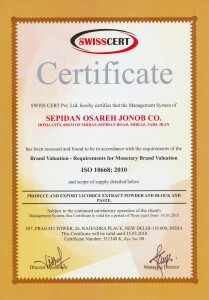 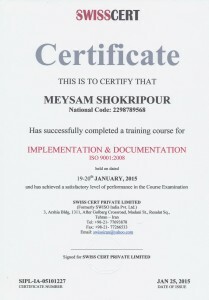 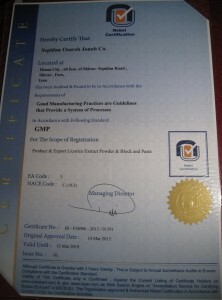 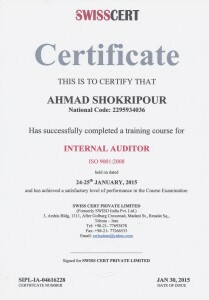 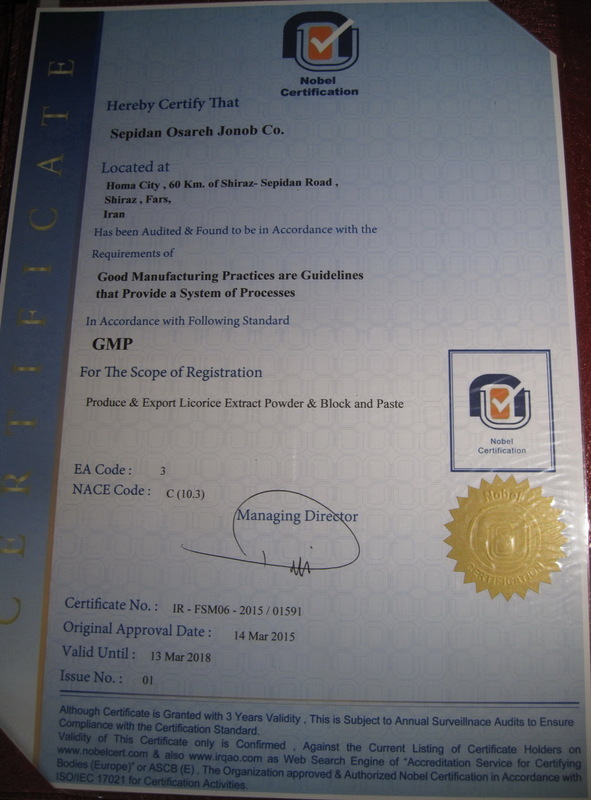 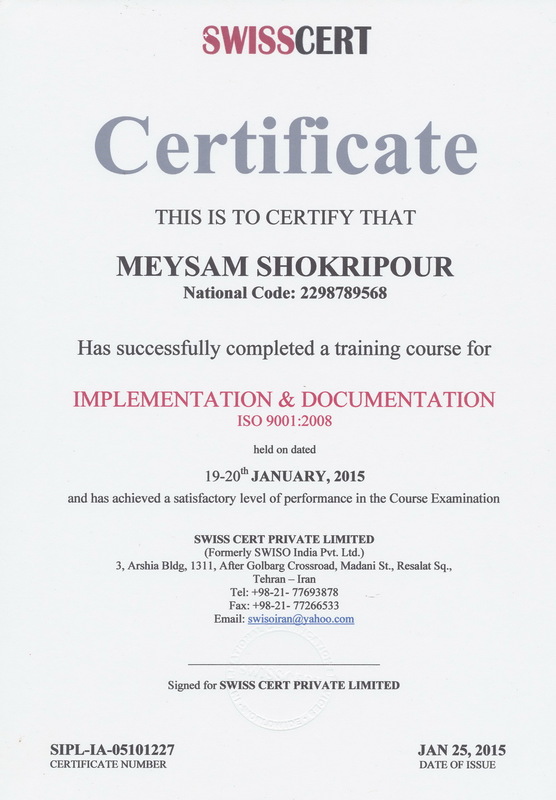 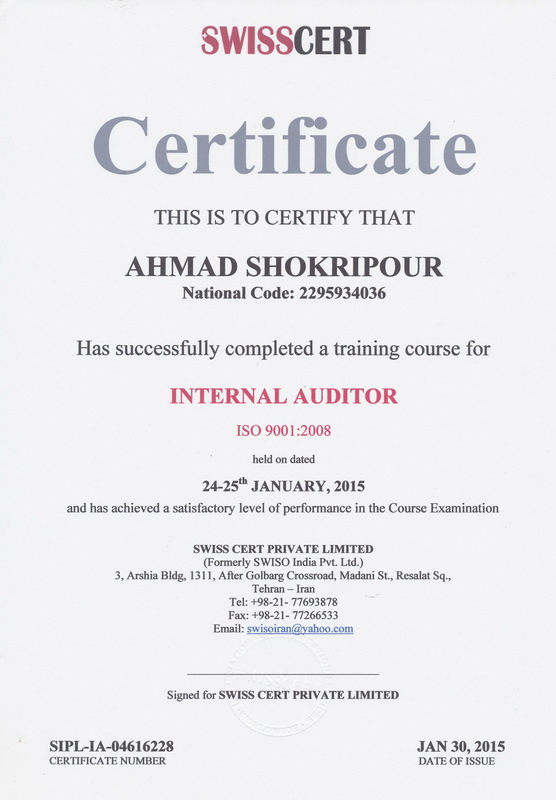 Product Certificates. 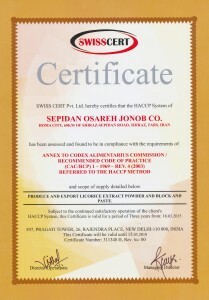 Produce & Export : Licorice Extract Powder , Blocks , Liquid ( Paste ) , Granules , Nuggets and More to all over the world. 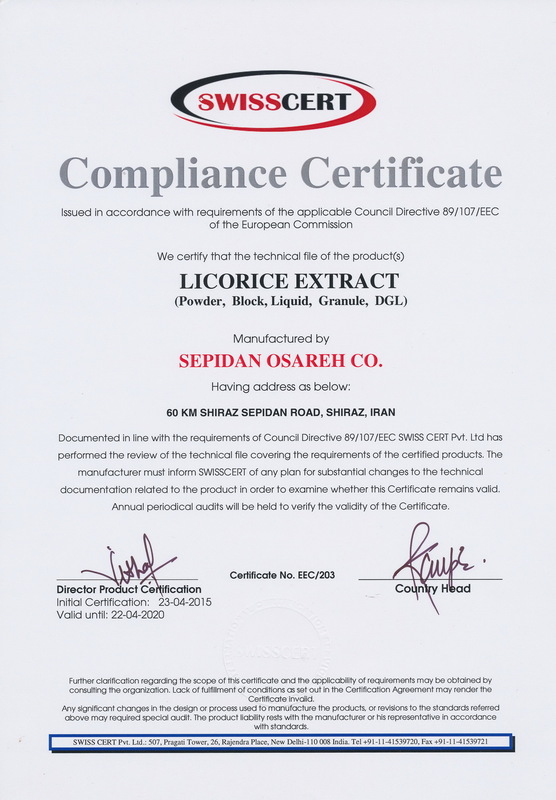 We Produce Licorice Extract Products with any analysis specification that you may want. 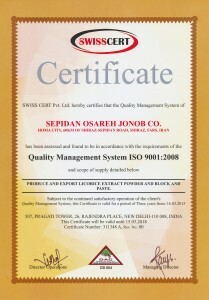 Best Quality and 100% Pure.